CANADIAN POLICE HAVE said no charges will be brought against a police officer involved in a fatal crash last year which resulted in the death of a young Irishman. Brendan Keogh (29) from Mullinalaghta, Co Longford was struck by an unmarked Royal Canadian Mounted Police (RCMP) SUV in the town of Squamish, British Columbia on the evening of 13 March 2018. Mr Keogh was taken to a Vancouver hospital in a critical condition. He never regained consciousness and was subsequently transferred to Dublin’s Mater Hospital where he later passed away. 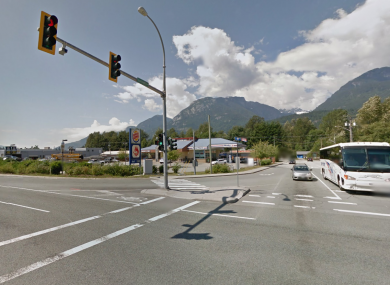 The investigation report, conducted by Canada’s Independent Investigations Office (IIO), which oversees police in British Columbia, has said that that the officer in question was driving under the speed limit when her vehicle reached the intersection on Garabaldi Way, passed through a green light, and struck Mr Keogh. The report found that Mr Keogh “would have been very difficult for a driver to see” due to the collision occurring on a rainy night and because Mr Keogh was wearing dark clothes. “There is nothing in the evidence collected that suggests [the officer] was driving in a manner that would appear to a reasonable person to be [any] way dangerous or without proper care and attention,” MacDonald said. Email “Canadian police officer cleared over fatal road collision with Irishman ”. Feedback on “Canadian police officer cleared over fatal road collision with Irishman ”.